After facing numerous consumer complaints on its railway reservation site IRCTC.co.in on unavailability of Tatkal tickets within minutes of the quota being opened and the website being overloaded, the IRCTC (Indian Railway Catering and Tourism Corporation) has finally taken action. It has taken various steps to cut down on the spurious black marketing and online malpractices affecting IRCTC.co.in, which is the country's largest online travel booking website. IRCTC has blocked over 4.6 lakh fraudulent user IDs since March, 2011, according to The Times of India. A whopping 71,484 e-mail IDs were also blocked as the government owned agency upgraded its cyber surveillance capabilities. 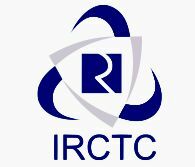 IRCTC has set up some new regulations for travel agents who have been reserving tickets online in bulk and selling them at exorbitant rates. Only authorised travel agents will be allowed to create user IDs and these will be separate from that alloted to citizens. These authorised travel agents will be able to book online on a commission basis using these IDs alone. It has also set up more rules to verify customers and restrict bookings by a single user to two per day.